When Henrik Fisker, a Danish automotive designer made the decision to build a startup electric-car company some two years ago, we knew that the models created by his mind are going to look awesome and unique. After all, this guy was responsible for some iconic nameplates like the BMW Z8, Aston Martin Vantage V8, and Aston Martin DB9, which means that the future Fisker vehicles must be at least good-looking. He proved the claim with the EMotion electric sedan and it’s proving yet again with a Tesla Model Y fighter. The teaser sketch previews the still unnamed Fisker small SUV for which the company claims it’s going to become available in the second half of 2021. It may sound crazy and unreal, yet the startup carmaker promised an entry-point price under $40,000. By comparison, Tesla’s small crossover starts at $41,200. There’s not much regarding powertrain specs at the moment, yet the base model should be able to travel up to 300 miles before stops for another charging. It is going to combine a dual-motor system with a lithium-ion battery. The crossover will use all-wheel-drive system where one motor spins front- and other supplies rear axle. The Fisker small SUV will be loaded with the latest technologies without any doubt. The teaser shows a grille loaded with sensors, which promises a range of electronic driving aids, including some sort of self-driving technology. In addition to the “smart” grille, the teaser hints LED technology for the crossover’s headlights, as well as a quartet of really big, possibly 22-inch wheels. The automaker claims that the cabin will be occupied with high-class materials, while most of the functions should be controlled via a large head-up display. We assume there will be seats for five people, and perhaps an optional three-row arrangement in order to match the Model Y. 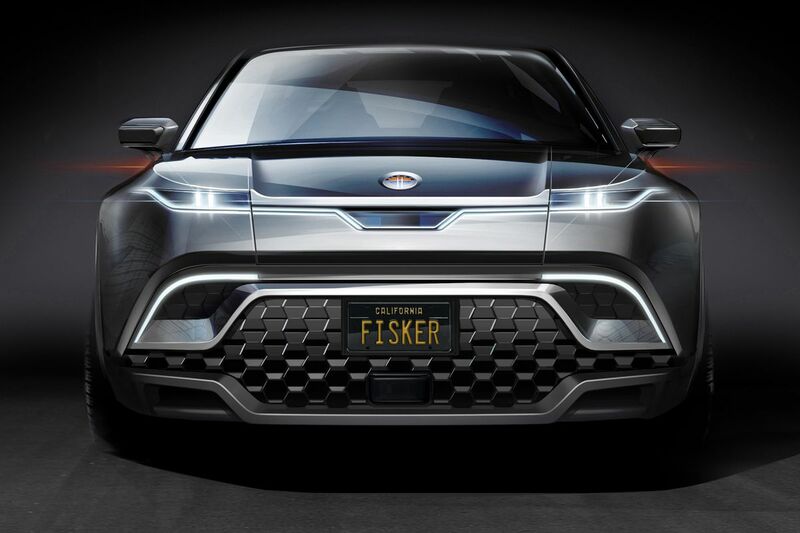 Since the planet became crazy about crossovers, the Fisker small SUV will arrive before the gorgeous EMotion sedan. 2017 GMC Acadia: Redesigned SUV Is Smaller And Lighter. Offers Two Engines. 2019 Nissan Z Crossover Is Coming?